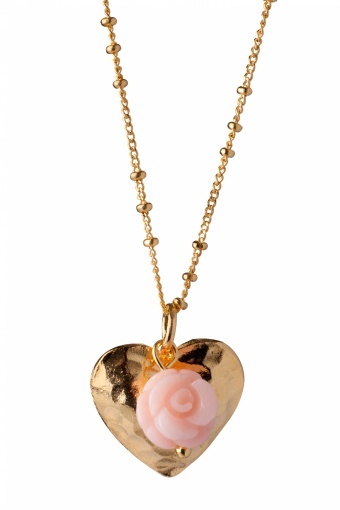 Handmade Heart & Rose necklace gold. 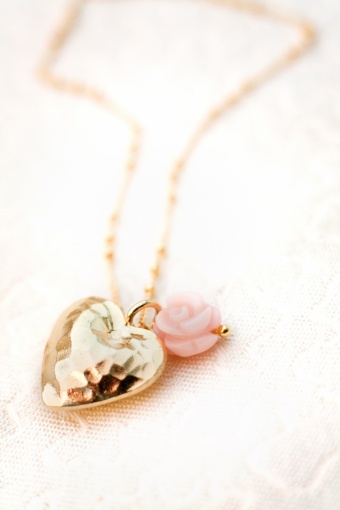 Beautiful hand-crafted vintage inspired short necklace with a heart and a lovely pale pink rose. 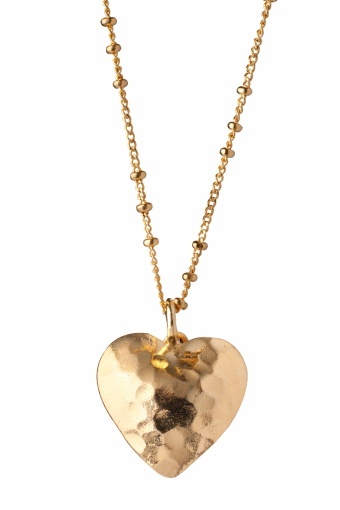 This is an absolutely lovely delicate piece of jewerly: the gold plated hammered metal of the heart creates a really nice effect. 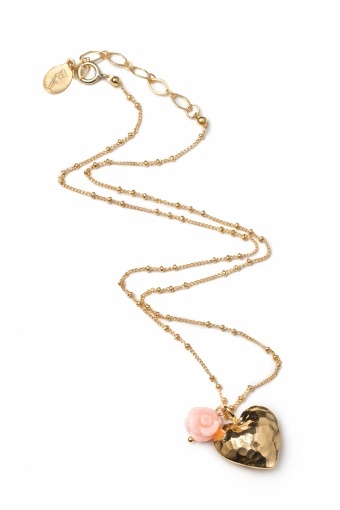 With a cute carved small bamboo coral rose in pale pink. So beautiful!